My daughter is signed up for the book-a-month program from Politics and Prose bookstore and it’s been such a fun surprise each time we get a package from them. If you have little ones in the D.C. area, I highly recommend it. This month, we received two bedtime board books and both have been a huge hit with her. The art is excellent and engaging in both and the length is perfect for turning in. You can customize the types of books that you’d like to receive based on the child’s age and interests. E is for Economics Instagram Giveaway! 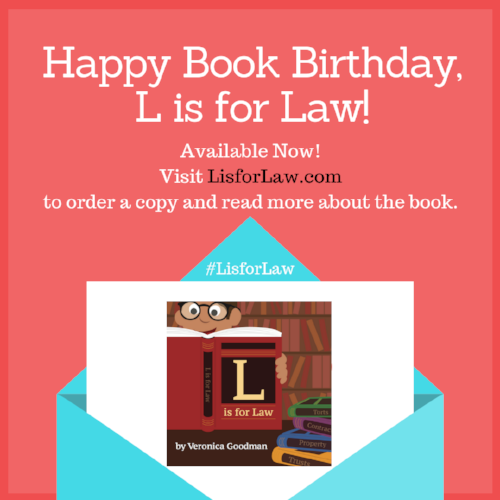 In honor of the release of L is for Law next week, I'm giving away three signed copies of E is for Economics on Instagram. The winners will be announced Monday afternoon via my Instagram stories here. Good luck to all who enter! The illustrations and concepts are colorful, adorable, and bring back fond memories from across the pond. This board book is a hit with any Anglophile or aspiring one looking to learn about opposites in a creative, worldly way. This is another favorite by the same author of London: A Book of Opposites in the Hello, World series. While my daughter has never visited Paris, she marvels at the dreamy shapes of Versailles, the Louvre, and other Parisian treasures. It was also the way she learned her shapes so early! Being a proud Washingtonian, I was extra critical of which children's book I would choose to get for my daughter. Some of the other ones on the market have errors or don't highlight aspects of D.C. life that I value. This board book has fun illustrations and feature parts of the city that my daughter has grown up learning about and seeing on our trips around D.C. It makes a great gift for other families, too. I feel blessed to live in a city with so many independent bookstores. 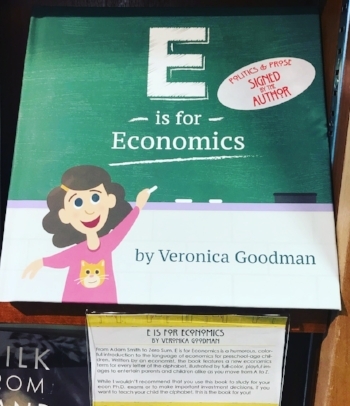 I feel even more lucky to have E is for Economics on the shelves at a number of them. You can find E is for Economics on the shelves at all three Politics and Prose locations around DC, including the new Union Market and The Wharf shops, and at East City Bookshop on Capitol Hill. Hooray for awesome independent bookstores! The Connecticut Avenue Politics and Prose location and East City Bookshop have especially large children's books sections - so much so that I have to stop myself from going sometimes because I leave with way too many books! Let the Querying Adventures Begin! This month, I sent my first query letter to an agent for a new manuscript that I've been working on. It's been exciting to finally go from the editing and revising stage to sharing it with others. Alas, that agent passed but as I've heard from many others, it's a numbers game and worth it to find the right agent who will connect with the story and serve as the best advocate for it. Fingers crossed! 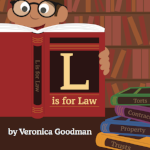 I did not approach any agents or publishers for E is for Economics or L is for Law (more to come on why in an interview I did with another local author next month!) so it was a learning process in writing the letter and researching literary agents. To others who are curious about the querying process, I've found a lot of resources from literary agents on Twitter, especially their blogs, through the hashtag #amquerying. Please wish me luck! I had a blast this morning at the second meeting of a picture book club of local kidlit authors. We discussed a compare and contrast of Skippyjon Jones in the Doghouse and Don't Let the Pigeon Drive the Bus. The overwhelming majority favored the latter. I'm biased because I love all Mo Willems books! Looking forward to the next meeting. It's such fun to listen to what inspires others and what they're working on. Thank you to Read.Learn.Repeat. for this themed review of E is for Economics! Below is an excerpt. The first step toward mastering any new subject is acquiring the associated language. But the language of finance is often absent from early childhood, and probably from most conversations with children. Authored by an Economist who noted this absence, this book is designed to build foundational language and facilitate further education. Tagged: book review, review, e is for economics, economics, financial literacy, read.learn.repeat. I recently founded a picture book club for local authors to discuss successful picture books and the first meeting is this week. We're going to read and discuss the award-winning picture book, Last Stop on Market Street by Matt de le Peña. It's easy to see why it's so highly regarded. I can't recall the last time I was so moved by a kid's book. It reads more like a poem or a song, and lifts up the reader with its soaring message. If the news this week has you down, pick up a copy for a timely reminder of how we can nurture empathy in little ones and inspire them to see and create beauty in a world that is often imperfect.